version for the Durban Film Festival. 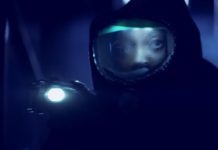 The 60-second film Gumboots, directed by Cape Town-based Bauke Brouwer, has become the first South African production to make the shortlist of the Filminute international film festival. Filminute is hosted entirely online throughout September, making it accessible to film lovers in any country. It is the only film festival that can be experienced in full in less than 30 minutes. 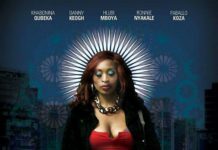 The South African movie industry has enjoyed a great deal of the international film fest limelight recently, with productions such as Themba: A Boy Called Hope, The Bang Bang Club, Life Above All, and Hopeville attracting respect, and awards. Gumboots is one of 25 finalists from 18 countries and is up against entries from the Czech Republic, Finland, Japan, Hungary, Iceland, India, Malaysia, Netherlands, Portugal, Romania, Serbia, Slovenia, the UK and the US. Turkey and Poland, with South Africa, are the other debutantes for 2010. This year’s festival attracted more than 1 000 applications, and now the 25 finalists will face off against each other in one of four categories: Feature Minute (live action), Animation, Documentary and Fan film. Gumboots is also in the running for the People’s Choice accolade, which is awarded by the audience. Anyone with a valid email address may vote, but only once, and votes can be cast online. Winners will be announced after 30 September 2010, when the festival ends. All films can be viewed in the online screening room. To view Gumboots, visit www.filminute.com/2010/screeningroom/index.php?id=114. The films can also be viewed on Facebook. The social media platform is expected to generate lively online discussion and boost the festival’s viewing figures. According to festival organisers, Facebook was responsible for 31% of the site’s traffic on the first day. The Netherlands-born Brouwer moved to South Africa at the age of nine. After finishing school he took up studies at Media Village and went on to complete an internship at film production company The Refinery. 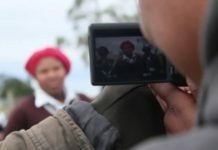 His freelance editing career has seen him work for the South African Broadcasting Corporation, followed by a three-year stint at e.tv, after which he pursued a long-time interest in directing. His first short film was titled Open Doors. Gumboots, originally about five minutes in length, was made for the 2010 Durban International Film Festival as an entrant in the short film challenge, which calls on filmmakers to make a short film in three weeks, with no budget, and using only volunteers as cast and crew. It made the top 10 in that event. 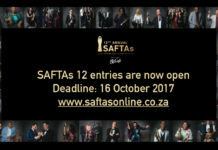 The film features a young pupil named Thando, whose ambition is to take part in the school’s upcoming talent competition as a gumboot dancer. However, a gang of bullies have other ideas and they ambush him and steal his boots, leaving him despondent and angry. With the support of the other members of his dance group he plucks up the courage to stand up to the bullies and demand the return of his boots, meaning the talent competition is no longer just a dream. According to the Aficionado blog, the lead actor is a member of a dance and drama group that is part of the operations of NGO Beautiful Gate, which is based in the poor Western Cape community of Philippi. Brouwer said that the youngster was initially very shy, but once the camera rolled he turned out to be a natural. Now in its fifth year, the Filminute festival is open to both film and animation productions of 60 seconds in length – no more and no less, according to Filminute director and head of jury John Ketchum. All shortlisted films are scrutinised and voted on by both the public and the Filminute jury, which is made up of respected experts from the fields of advertising, the arts, literature and film. Applying the same criteria that they’d use to judge a full-length feature, the jury selects the top film and also awards five commendations to worthy runners-up. The winning film should make its impact felt long after its one minute is up, and have the same influence on audiences that a successful full-length feature would have. This year the jury includes luminaries such as Michael Ondaatje, poet and author of The English Patient; Klaus Eder, general secretary of the Munich-based Federation Internationale de la Presse Cinematographique – a body of professional film critics and film journalists from around the world; Academy Award-winning screenwriter Paul Haggis (In the Valley of Elah, Casino Royale, Crash); and Kevin Roberts, worldwide CEO of Saatchi & Saatchi, which operates in 83 countries. South Africa’s Neill Blomkamp is also on the panel. Blomkamp shot to international fame in 2009 as the director of the locally filmed District 9, a thought-provoking sci-fi satire featuring extra-terrestrials as refugees in South Africa. 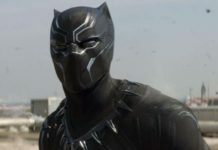 The film, with its two main themes of social segregation and xenophobia, garnered worldwide acclaim. It received four Academy Award nominations and nine Bafta nominations, and was produced by film veteran Sir Peter Jackson. District 9 was adapted from Blomkamp’s 2005 six-minute sci-fi film titled Alive in Joburg. According to Filminute, it’s the perfect example of how a short production, if based on a strong story, can successfully make the leap to a full-length feature film. Paralympic Team South Africa inspires!